We are one of the prominent XLPE Cables Manufacturers in India. 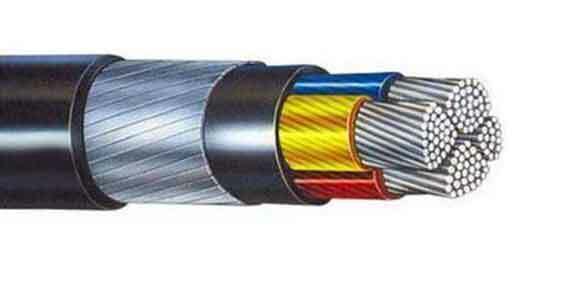 Our sole Objective is to provide the best XLPE Cable, Cross Linked Polyethene Cables, Insulated Armoured Power Cables, XLPE SWA PVC Cables, Underground High Voltage Cable, Industrial XLPE unarmored Cables, Electrical Specification Wires, etc. to the buyers. What's more, all our Cables are economically priced too. As a result, we have garnered repute amid the prominent XLPE Cables Suppliers in India. ► Relemac Technologies Pvt. Ltd., pioneered the manufacture of Cross Linked Polyethylene (XLPE) Power Cables in India. ► Dry Cured & Drycooled CCV Line with State-of-the-art extrusion process. ► Design as per Indian and International Standards. ► Approved by leading consultants. Three Core Copper/Aluminium Conductor XLPE Insulated extended / taped PVC Inner Sheath Cables, Flat Strip Armoured A2XFY (P/T). Cables are available with both Taped(T) and extended PVC (P) inner sheath as per customer requirements. The Current rating of power cable is defined by the maximum intensity of current (amperes) which can flow continuously through the cable, under permanent loading conditions, without any risk of damaging the cable or deterioration of its electrical properties. The value given in the tables are valid for one circuit in a three phase system under conditions specified. For grouping cables rating factors must be used. The current carrying capacities mentioned in RELEMAC technical data are intended as a guide, to assist operating engineers in selecting cables for safety and reliability. • Max. Conductor Temperature : 90° C.
• Ambient Ground Temperature : 30° C.
• Ambient Air Temperature : 40° C.
• Max. Conductor Temperature for Short Circuit : 250° C.